Petrol Air Compressors are a great choice for all heavy-duty use, mobile or stationary. Our range will are powerful, while remaining portable, enhancing productivity while remaining low maintenance. 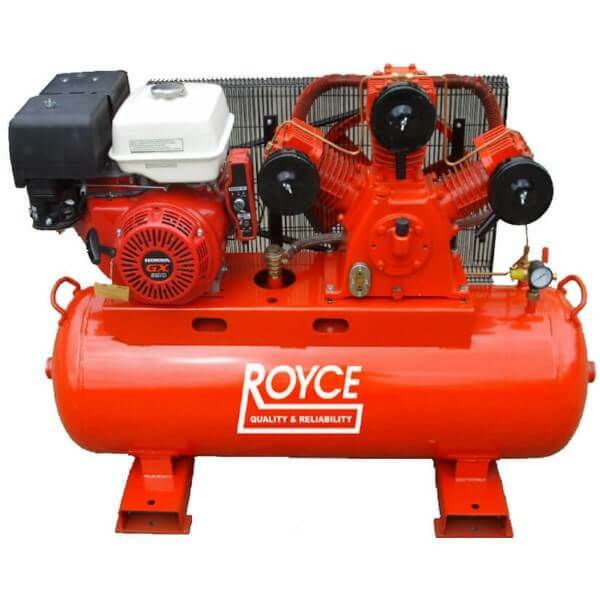 Our Royce Petrol Air Compressors are renowned for their quality and reliability. We recommend our range of petrol units for service vehicles (including tyre service trucks) and other large air volume requirements. If you are unsure of what compressor model is right for you, chat to our friendly team, who can determine the type and price required. Why Choose a Petrol Air Compressor? 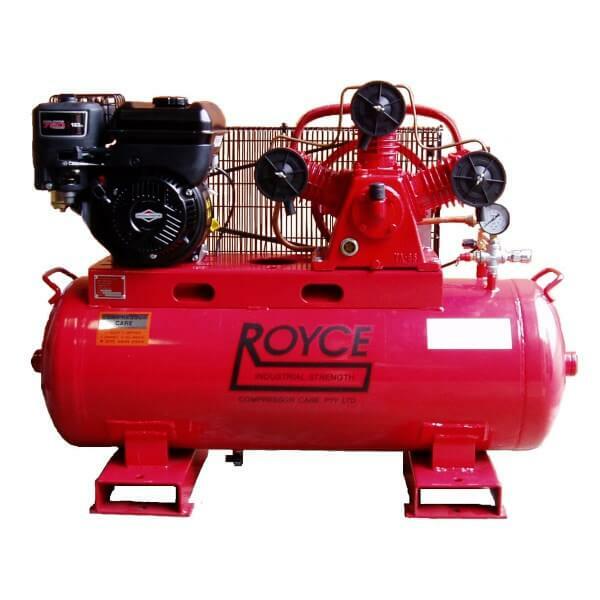 Our range of Royce Petrol Air Compressors are perfect when you don’t require or don’t have access to three phase units. We specialise Royce equipment, allowing us to increase our knowledge on their product range and their applications. 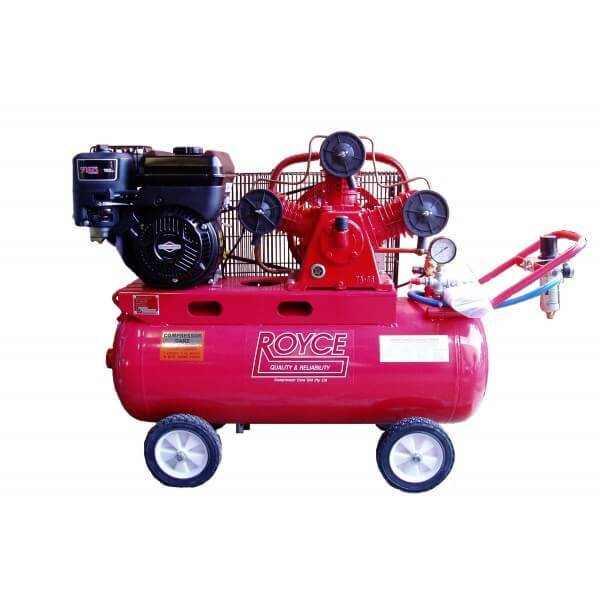 The entire Royce Air Compressor range delivers 1000 kilopascal (kPa) / 142 pounds per square inch (psi), comparable to the RC22 and RC27 three phase units. The economical Royce RC20P/70 and RC37P/100 units use Briggs and Stratton Manual Start Petrol motors. The first-class Royce RC37PH and RC57PH models run with Electric Start Honda Petrol motors. The RC37PH is the ‘big brother’ to the RC20P/100 unit. If you are unsure what model would best suit your needs, chat to somebody from our friendly and knowledgeable team.